Paperman. Animation has come a long way. Paperman is Disney’s new animated short film that aired before Wreck it Ralph (which I have yet to see). In my opinion, it represents everything that animated films have the potential to convey – human emotion and just enough whimsey to tug on your heartstrings. So for those of you out there who believe that animated movies are merely for children. Think again. Watch Paperboy and do some more thinking. Do you want to be an agent of change in the world? I actually completed this one back in early December, but I wasn’t able to get any photos until now. I got certified in Wilderness and Remote First Aid through a 3-day course with the Red Cross. I’m going to be taking another bushcraft course in March…CAN’T WAIT! Relaxing in a “hypo-wrap”. 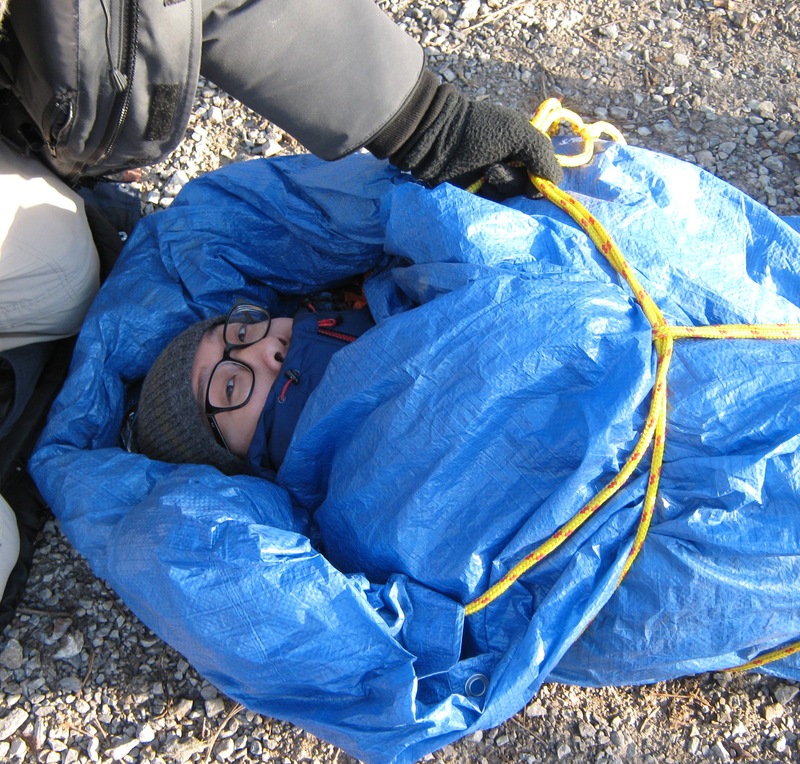 We learned how to treat hypothermia victims in situations when emergency response teams aren’t available. 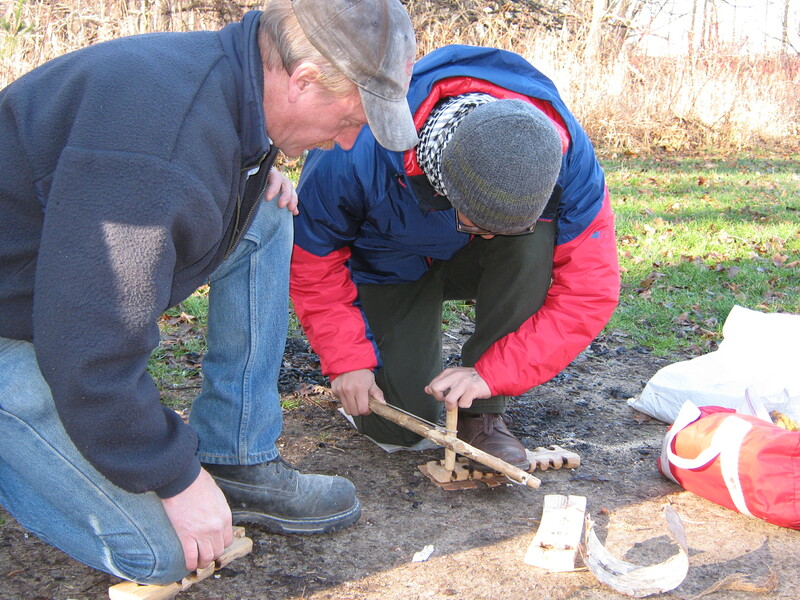 Phil from “School in the Woods” teaching me how to make fire with a bow drill! I was only able to make smoke, but I’ll keep practicing! On any given day, if you were to up and vanish, would you be happy? Would you feel fulfilled? The book you didn’t finish writing would have changed the lives of many people. The band you gave up on would have radically changed the world of music even more so than The Beatles. The family vacation you didn’t take would have been the last time your whole family would be together and happy. Your dad would die two weeks later. The dog you didn’t save from being euthanized at the local shelter would have saved your son from drowning that cold day in November. The orphan who sits on her bed praying for a family to come take her home and love her will never get adopted. She will become homeless and die of a drug overdose. If she had been adopted, she would have become the next Mother Theresa. I started listening to Missy Higgins’ music back in 2010, but unfortunately lost track of her tunes as my itunes library began to expand. However, at a recent board game night, Adam, a buddy of mine, played her latest record. My ears were quickly reacquainted with this truly talented musician. Perhaps I’ll make more frequent music posts…I think this is the first one I’ve done since the start of this blog. Amazing individual. Visionary. Today is Martin Luther King jr day in America. 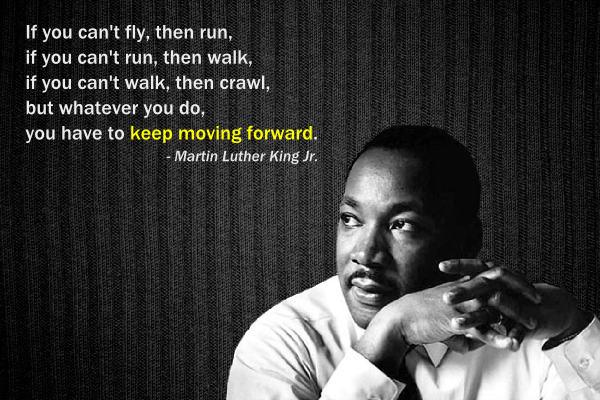 Regardless of where you are in the world, don’t forget to keep moving forward. Never stop. Don’t let anyone tell you otherwise. You get what everyone else gets – a life. It’s your job to make something of it. There’s an old English saying – “money and gifts will take away your hunger“. I want to be the best version of myself that I can be and love working towards that goal. However, when you reach your goals. When you peak. Don’t forget to set new ones or else you’ll plateau. And what’s the point of being inactive? Don’t back down from new challenges. You get what everyone else gets – a life (re: Neil Gaiman). It’s your job to make something of it. Accept difficulty with joy. I’m loving every moment of this journey and I’ll continue to do so no matter how hard it gets because if it isn’t difficult, what will I learn from it? Skills are valuable commodities. Share them with the world.